If you would like to chat with Christians on your Android phones and devices, there are a few applications which are providing good conversations for you with other Christians from whole around the world. We will try introduce all Christian Chat apps on here and it will be listed via user ratings on reviews. You will see the best reviewed Christian Chat App in the top of the list. You can also check chat room lists on How to Chat Online. 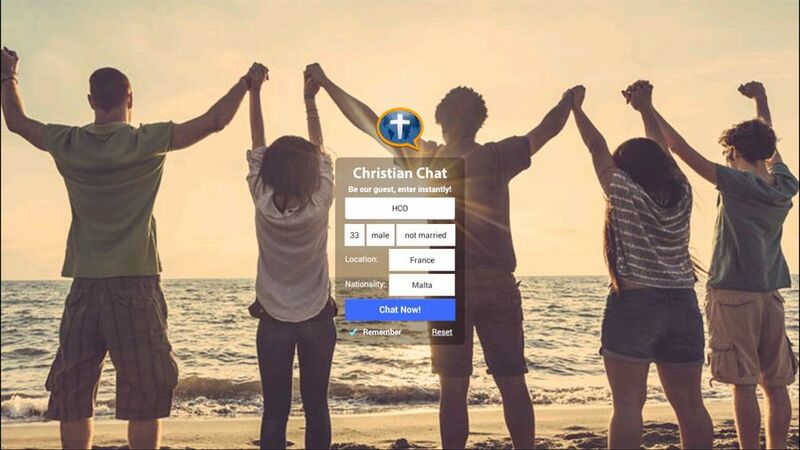 This applications already listed top of our chat rooms list for Christian chat. It is free and you will able to communicate with people who has connected this chat room via website or an iOS device. The application has a good interface. Installed 10,000 – 50,000 times. Christian Friends Chat – This Application is not Available on Google Play Store Now! This is another good application for chatting with Christian people from different countries. You can ask questions about the religion or join the community and answer questions of people on this platform. It is nice and safe to chat. Installed 1,000 – 5,000 times. Christian Chat & Song – This Application is not Available on Google Play Store Now! Christian Chat & Song has been created with good aims but it is not very active at the moment. There are also many user reviews that there is not any online people on the application. You can still give a try to this application if you have time and try your luck to meet other Christians. There are also a few dating applications but we are not going to mention about them on here since the concept can be quite different between religious talking and dating. However if you would like to suggest any Christian chat apps for Android, you can contact us or comment this page. Is there any Orthodox chat app on Play Store?